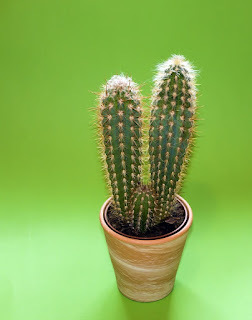 Cactus is known as an ornamental plant in pots that usually fill the corners of your work table. But did you know cactus can also be eaten and beneficial to health? The use of cactus as a food is commonly used by Latin Americans. If the cactus spines are cut, the cactus can be eaten directly as a vegetable or cooked as a soup. High nutritional and vitamin content makes cactus even labeled as 'superfood'. Quoted from the Medical Daily, the following benefits of cactus consumption, ranging from lowering cholesterol to prevent cancer. Cactus contains high levels of vitamin C, E, A, iron and calcium. These substances are known to be useful to reduce the symptoms of inflammation (inflammation) in the body. "Cactus also contains flavonoids and phenolics, antioxidants found in many medicinal plants," said Dr. Jonathan Stegall. Nopal cactus, a species of cactus, is known to contain high amounts of fiber and pectin. A study conducted in 2007 proved it. Research conducted in France is examining the properties of dried cactus leaves to 68 patients with metabolic disorders. After 4 weeks, the levels of LDL or bad cholesterol in their body decreases and HDL or good cholesterol increases. Dr Swapan Banerjee, a nutritionist and dietitian expert from Icliniq, said cactus leaves and fruit are beneficial for patients with type 2 diabetes. Cactus leaves and fruit have low glycemic levels (140 mg / dl) that can be useful as a cure for diabetes. In addition, the fiber and pectin content also helps the absorption of blood sugar. Fiber and pectin also protect the liver from insulin disorders. The packed cactus extract is popular as a weight loss supplement program. Cactus extract has a diuretic effect that makes people urinate more often. Research in 2010 found that mice given cactus execution weight loss as much as 20 percent. Because it has antioxidant effects, nutrients and nutrients in the cactus are believed to protect brain cells from free radicals. Quercetin, dihydroquercetin, and quercetin 3-methyl, are found in the brains of mice given cactus. These proteins serve as a protective brain cell and counteract the free radic that can accelerate the occurrence of dementia. Cactus leaves that have antioxidant effects can also prevent cancer cells from spreading in the body. This is evidenced by research conducted in 2009. Research called the consumption of cactus leaves can reduce the risk of developing breast cancer, prostate, colon to the liver.